With today's rain and lack of sun, I found myself in desperate need of a plant pick me up. 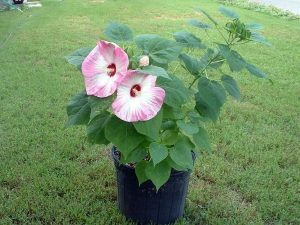 What better way to bring the tropics into your life than a tropical plant like the hibiscus. 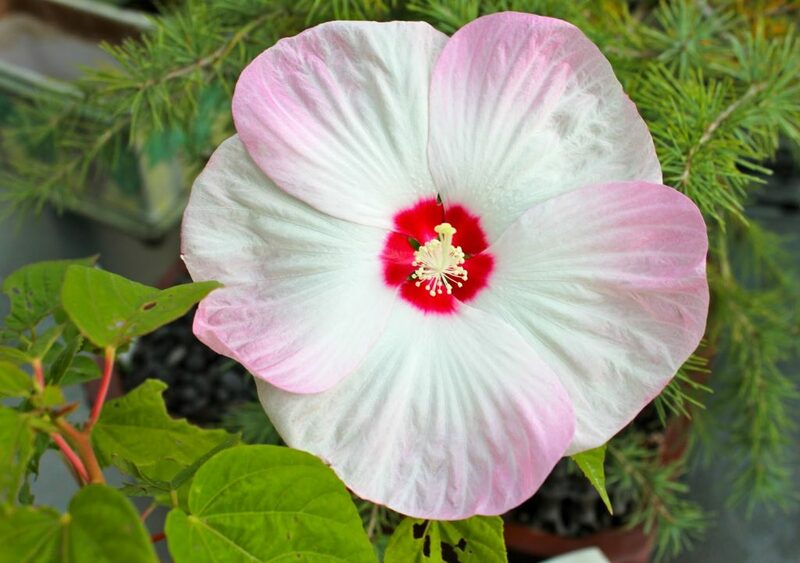 And the variety we've chose as this week's Plant of the Week is the Luna Pink Swirl Hardy Hibiscus. 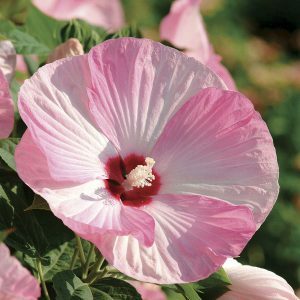 This is a compact selection that only grows to about 3' high and 3' wide but provides showy 8" flower in pink and white. The flowers have a dark cranberry center and a super long bloom season making them a favorite all summer long. These plants are a beautiful addition to both tropical and cottage style gardens. They love the sun, and they're also known to attract some hummingbird visitors. If you do decide to plant, make sure to keep that soil consistently moist. This is a compact selection that only grows to about 3′ high and 3′ wide but provides showy 8″ flower in pink and white. The flowers have a dark cranberry center and a super long bloom season making them a favorite all summer long. These plants are a beautiful addition to both tropical and cottage style gardens. They love the sun, and they’re also known to attract some hummingbird visitors. If you do decide to plant, make sure to keep that soil consistently moist.